Departure from Bolgatty Palace, Hotel to TRC Kochi. Departure from TRC Kochi and departure to Hill Palace Museum, Tripunithura for sightseeing. Departure from Hill Palace Museum, Thripunithura to Mattancherry. 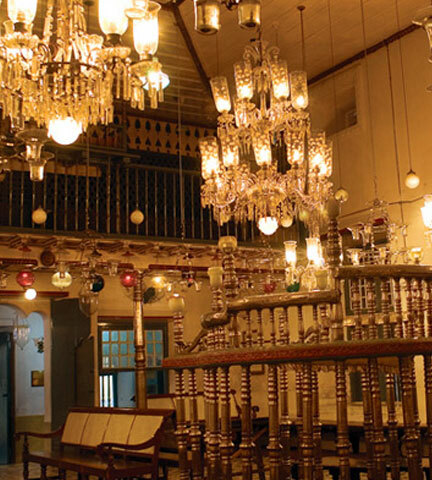 Visit Dutch Palace and Jewish Synagogue. Departure from Mattancherry to Fort Kochi. Visit Santacruz Basilica, St.Francis Church, Chinese Fishing nets. Drop at TRC Kochi and Bolgatty Palace. 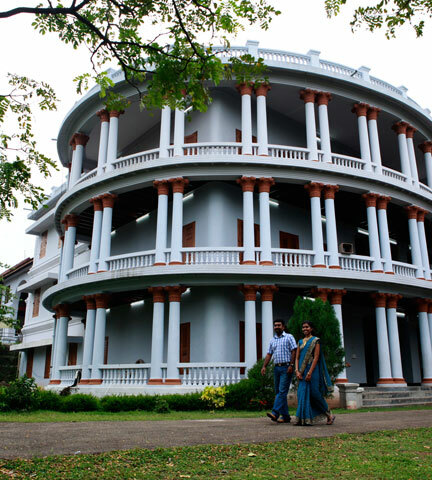 Hill Palace, the official residence of the erstwhile Kochi Royal Family, was built in 1865. The palace complex consists of 49 buildings in the traditional architectural style of Kerala and is surrounded by 52 acres of terraced land with a deer park and facilities for horse riding. 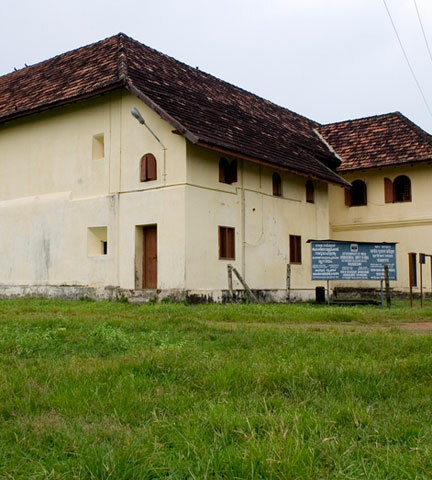 A full-fledged ethno-archaeological museum and Kerala’s first-ever heritage museum are the main attractions. Displayed inside the thirteen galleries are oil paintings, 19th century paintings, murals, sculptures in stone and plaster of Paris, manuscripts, inscriptions and coins belonging to the royal family. Ancient musical instruments, clay models, bronze and silver items from the 14th, 15th and 16th century are some of the other exhibits here. Constructed in 1568, this is the oldest synagogue in the Commonwealth. Destroyed in a shelling during the Portuguese raid in 1662, it was rebuilt two years later by the Dutch. Located at Mattancherry, it is noted for its mid-18th century, hand-painted, willow-patterned floor tiles from Canton in China, a clock tower, Hebrew inscriptions on stone slabs, great scrolls of the Old Testament, ancient scripts on copper plates etc. Built by the Portuguese in 1557 and presented to Raja Veera Kerala Varma of Kochi, the palace was renovated in 1663 by the Dutch. On display here are beautiful murals depicting scenes from the epics - Ramayana and Mahabharata, as well as some of the Puranic Hindu legends. The palace also houses Dutch maps of old Kochi, royal palanquins, coronation robes of former Maharajas of Kochi as well as period furniture. The three dimensional portraits of the Maharajas are also noteworthy. 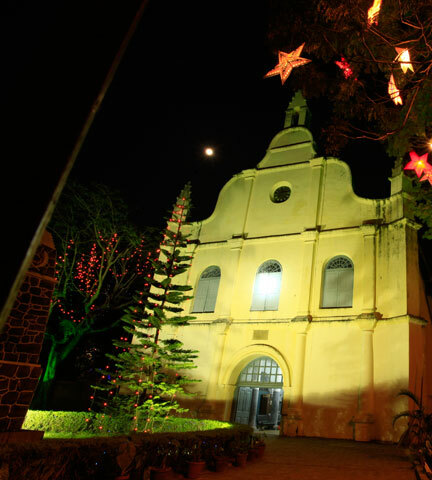 Historic church was built by the Portuguese and elevated to a Cathedral by Pope Paul IV in 1558. 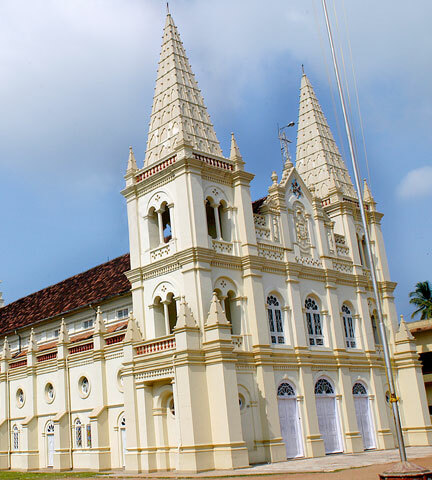 In 1795 it fell into the hands of the British when they took over Kochi, and was demolished. About a hundred years later, Bishop Dom Gomez Ferreira commissioned a new building at the same site in 1887. The church was proclaimed a Basilica in 1984 by Pope John Paul II. Watch fishermen tug at these huge nets with their rich haul. 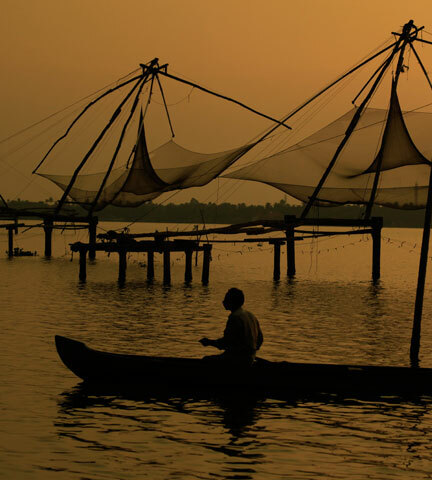 The huge cantilevered fishing nets are the legacy of one of the first visitors to the Malabar Coast. Erected here between 1350 and 1450 C.E by traders, these nets are set up on teak wood and bamboo poles. The best place to watch the nets being lowered into the sea and the catch being brought in, is the Vasco da Gama Square, a narrow promenade that runs along the beach. The Square is also an ideal place to idle, with stalls serving fresh delicious seafood, tender coconut etc. 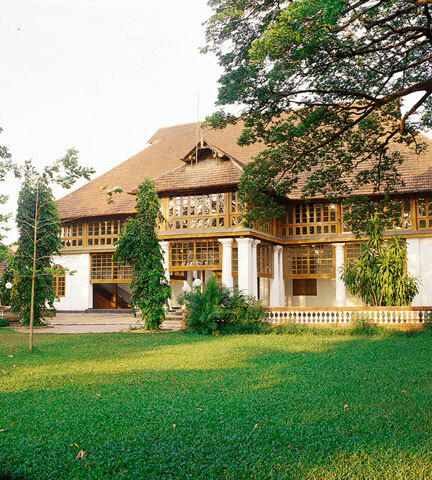 The Bolgatty Palace was built in 1744 by the Dutch and later taken over by the British. Today, it is a premium hotel run by the Kerala Tourism Development Corporation, with a small golf course and special honeymoon cottages. India’s only international marina is the latest addition to this island. Enjoy spectacular sunsets, balmy backwaters and succulent seafood here. Inclusions & Exclusions The package is inclusive of travelling expenses only. Entry tickets at all sightseeing places, boating charges etc and all food expenses will be borne by the guest. Tours will not be operated on Fridays. Children – 4years onwards full ticket.